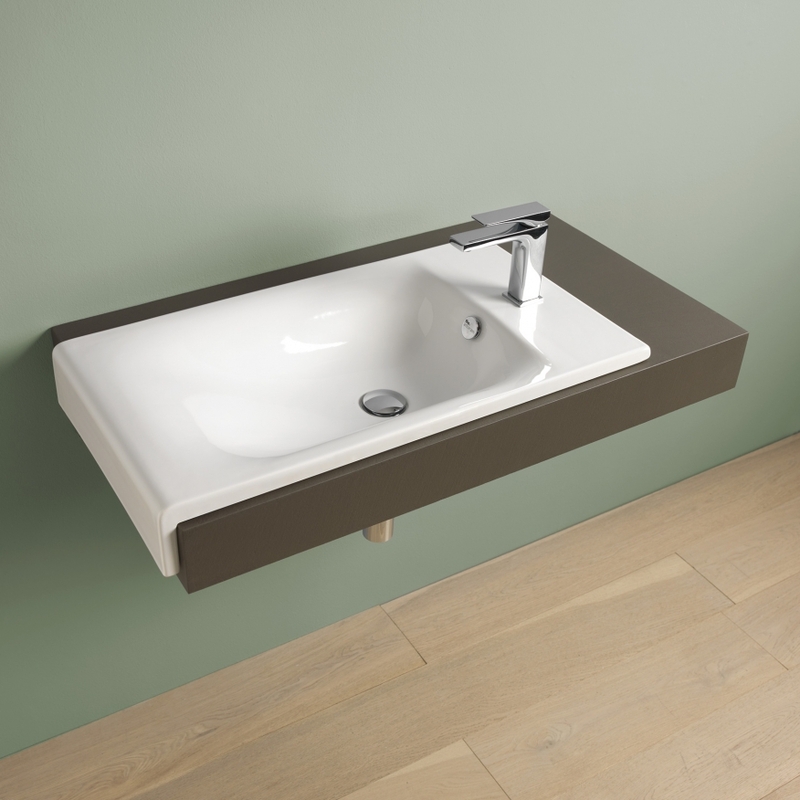 The name 'Towel' derives from it's particular shape. 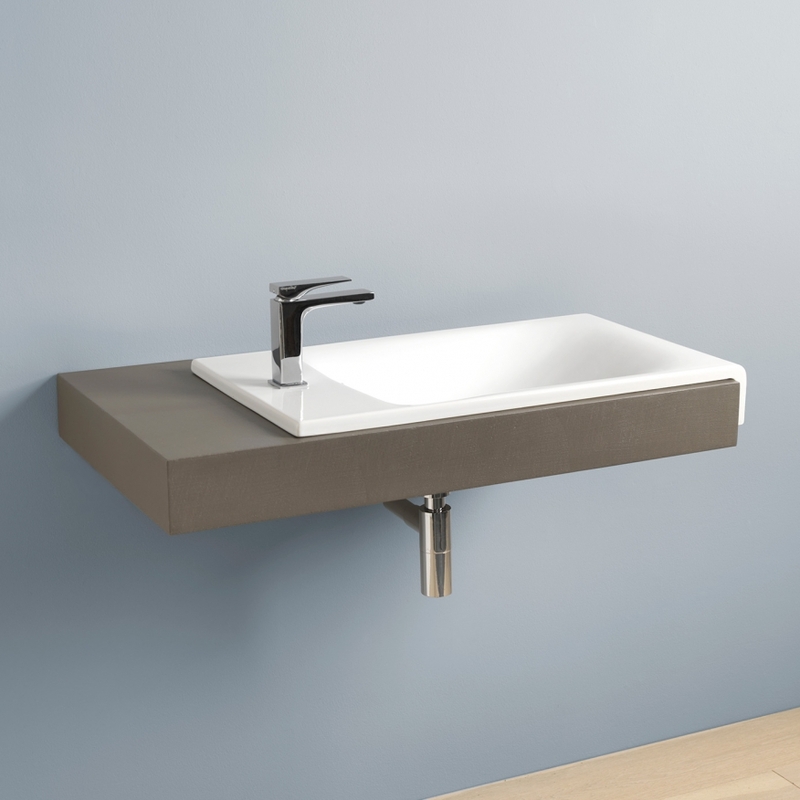 A thin ceramic layer rests lightly on the surface of the structure covering it like a fabric, then falls sideways to the cabinet sides. 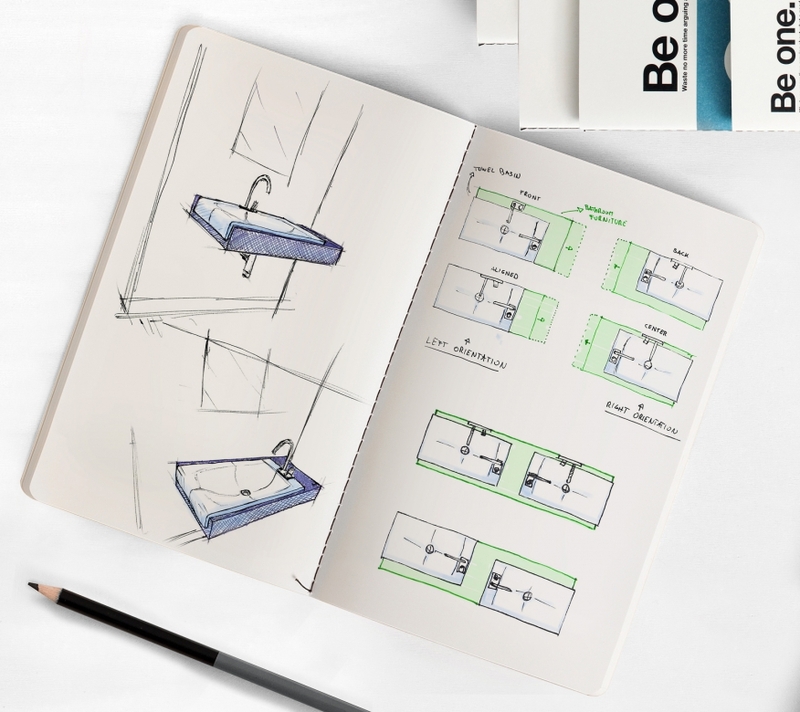 Towel is a lateral semi-recessed, definition that makes it unique in its kind, assigning an important position of typological innovation. 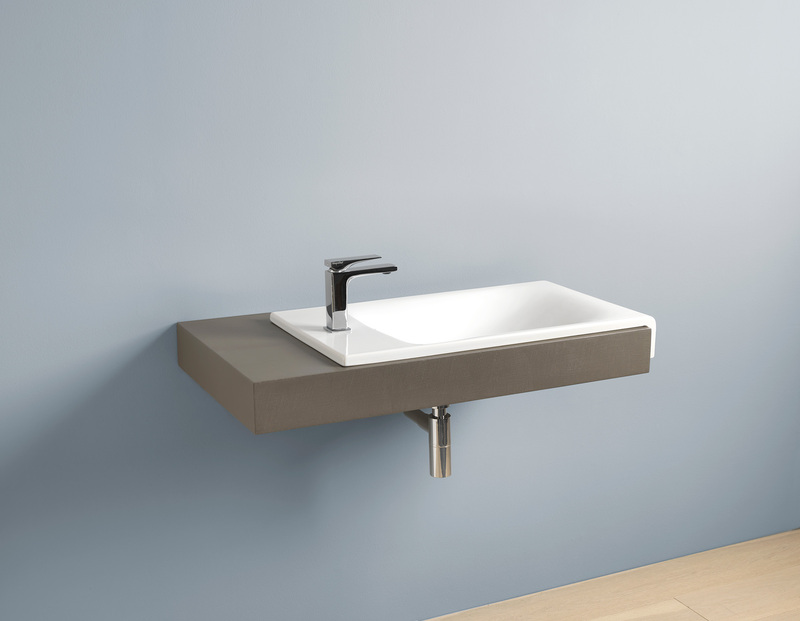 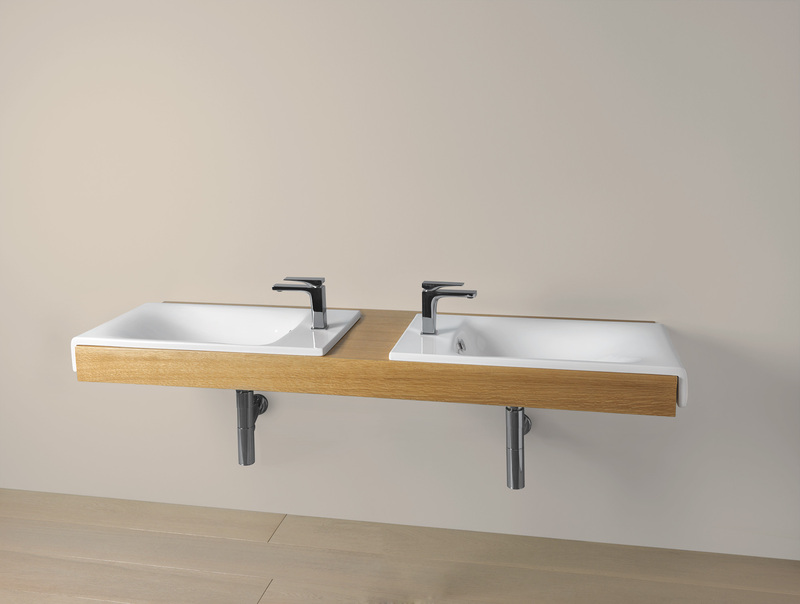 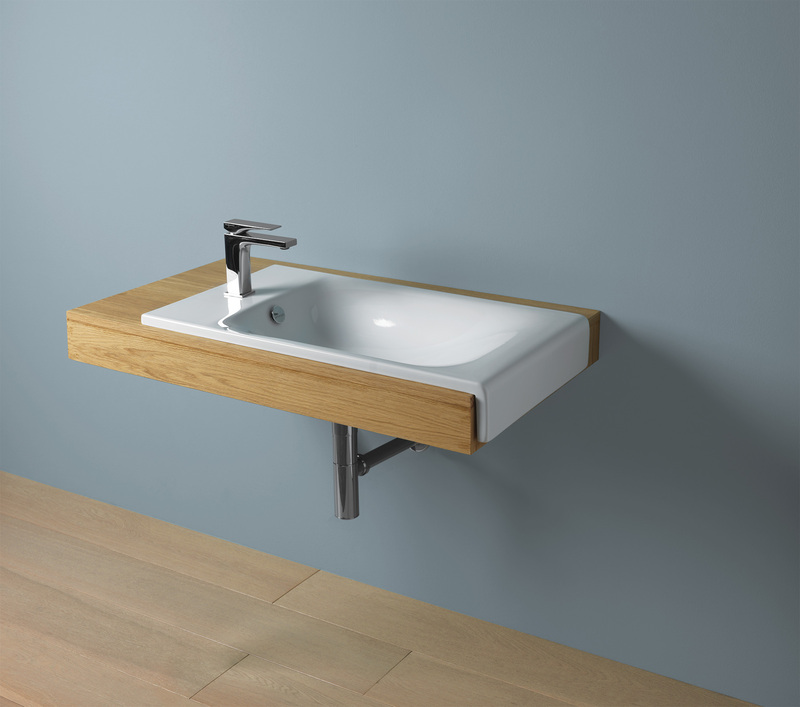 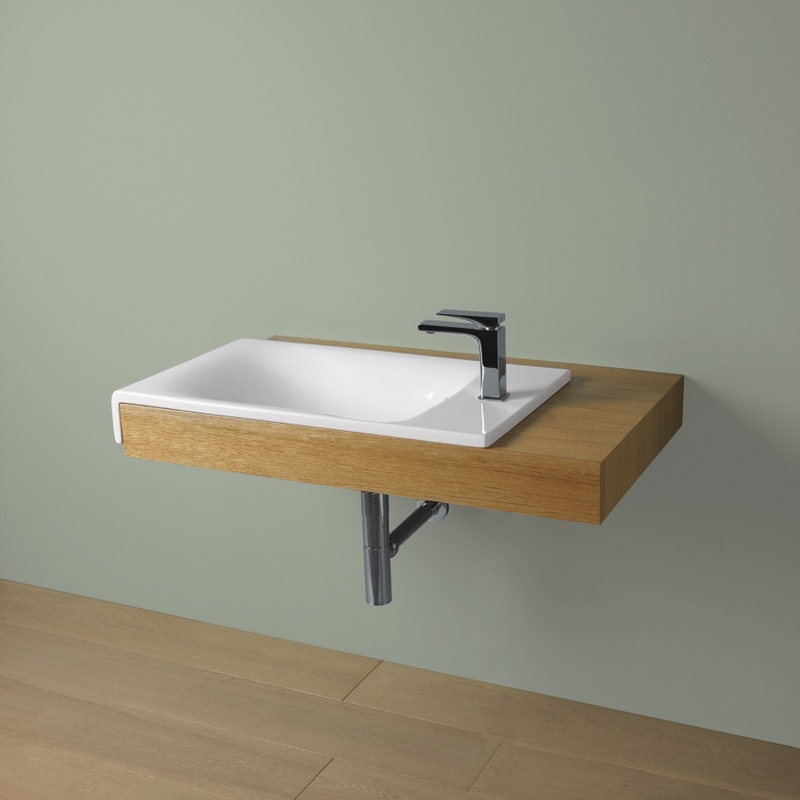 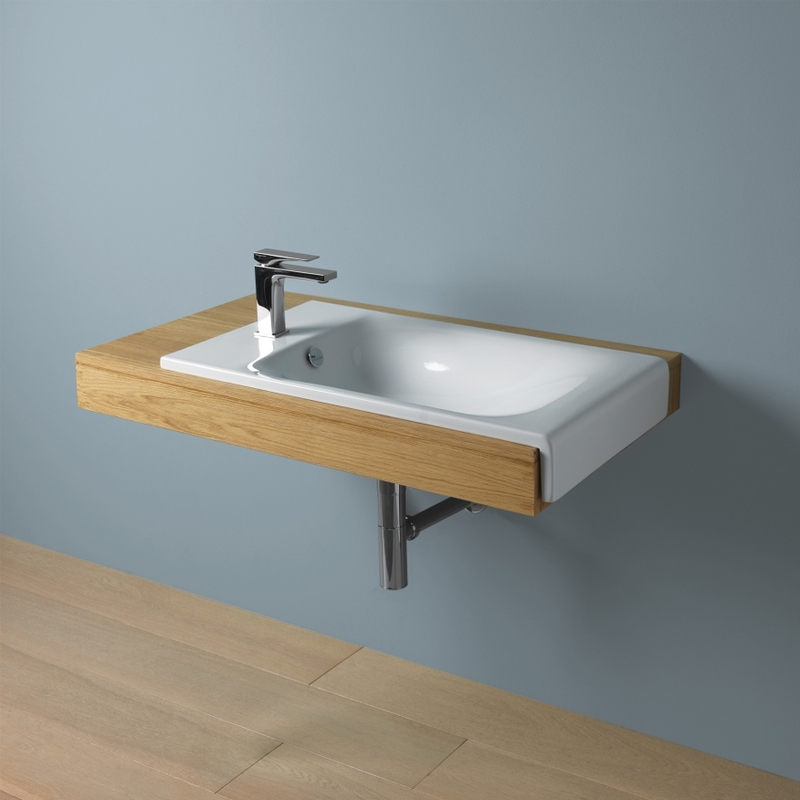 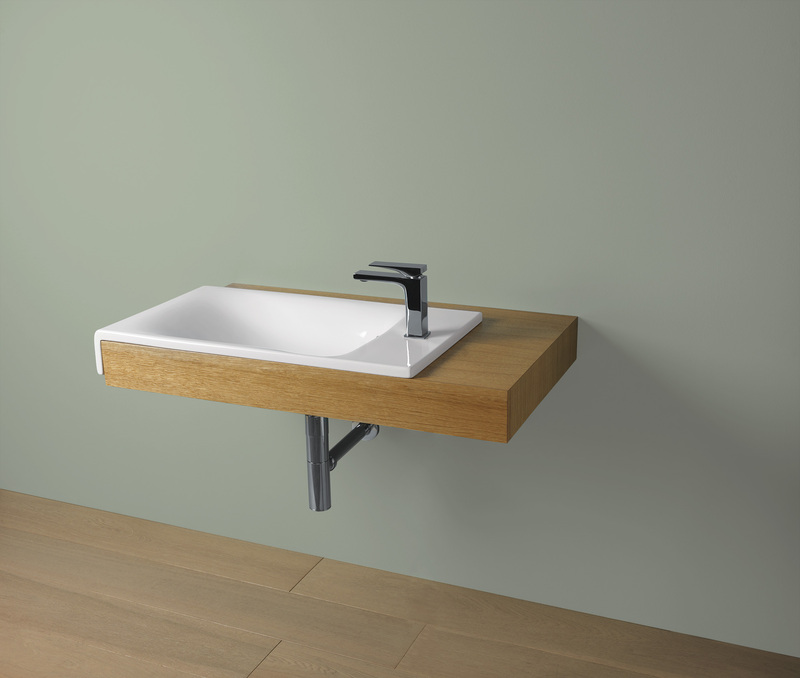 The center of gravity shifted to the sides of the washbasin determines an unusual view respect to the front trim, making it a lightweight and innovative washbasin, usable in an infinite range of support combinations. 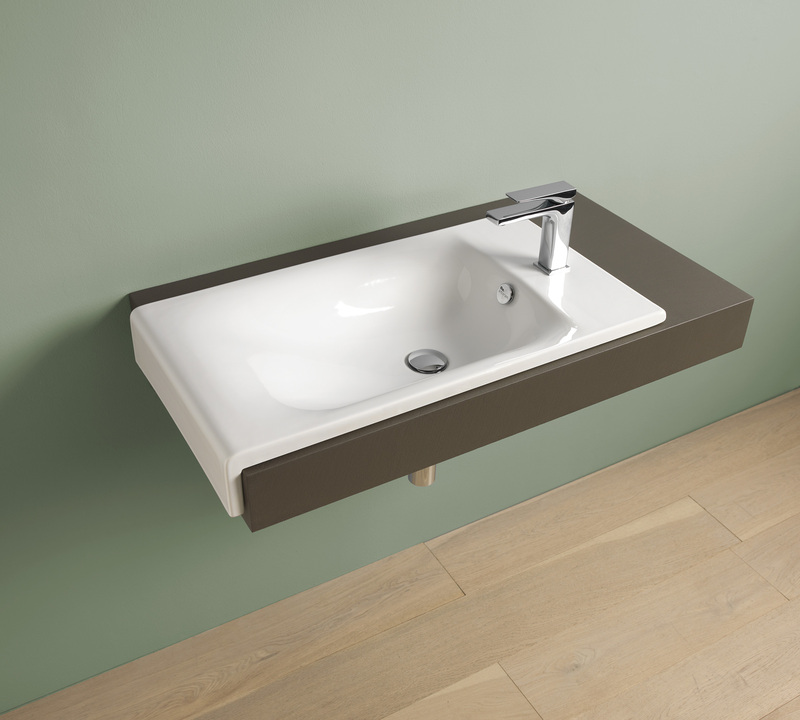 Cool and ironic, Towel is the contemporary view that Meneghello and Paolelli Associati have of the semi-recessed washbasin. 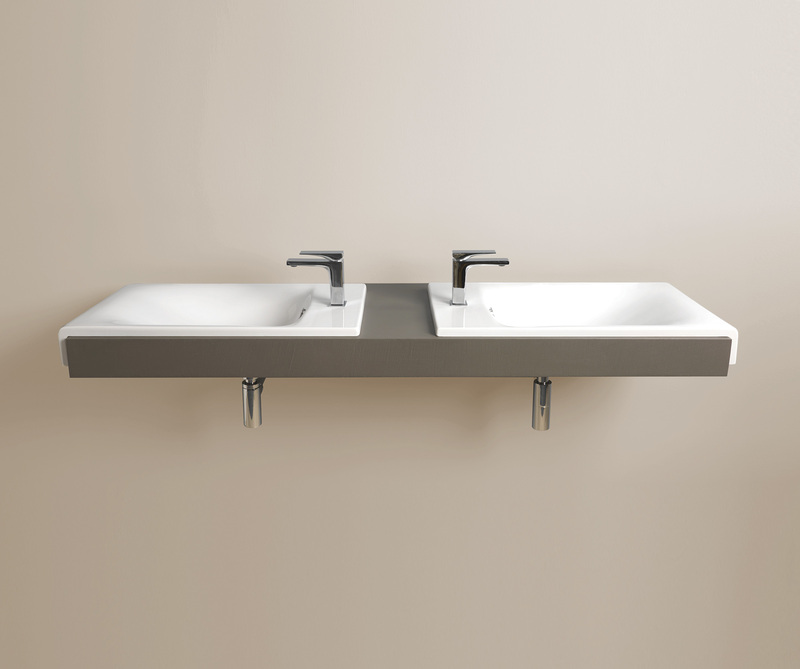 The surfaces are smooth, light and at times edgy and plucked, characteristics that signal and separate wet area from the dry area.